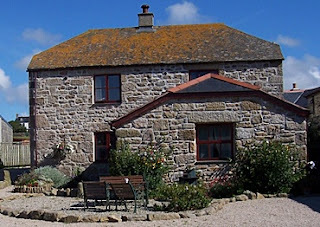 Trewellard Manor Farm is just off the wonderfully scenic coast road from St.Ives to Lands End on the edge of Trewellard village. This north western tip of Cornwall is generally accepted as the most unspoilt area of the country with its magnificent relics of ancient tin mines and its Celtic past. Geevor Tin Mining Heritage Centre is just a few hundred yards away as is the Levant Steam Engine which may be seen working on certain days. Cape Cornwall Golf & Country Club open to all providing golf, indoor swimming pool, sauna & gym, this being a stunning & challenging golf course overlooking the Brisons Rocks & England's only cape. The village provides a choice of restaurants & 3 pubs all within walking distance also local stores, pottery & craft shop. 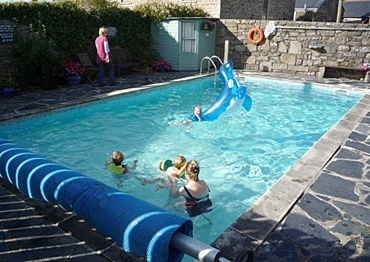 St. Just a short drive or bus ride having its own selection of shops, restaurants & pubs.Our attractive cottages have been converted from original farm buildings to provide a very comfortable & well equipped holiday home for you. From the moment you step into you cottage to find flowers & wine awaiting, you will begin to relax and enjoy your holiday.